Try a Breakfast Set for free! Try for free a Breakfast Set from Rainbow Designs! Each element of this set features illustrations and quotes from the classic books! 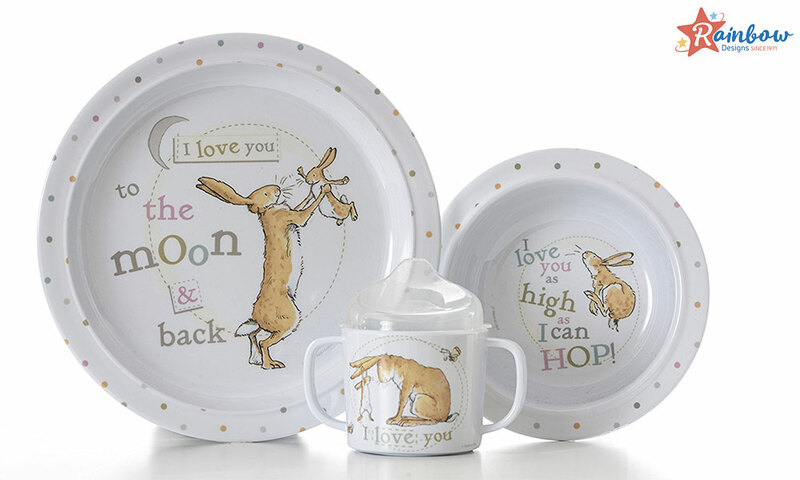 This beautiful Guess How Much I love You 3 piece breakfast set includes a plate, a bowl and a cup with a lid; all made from durable melamine plastic. 4 Breakfast Sets to try!